JUPITER, FL--(Marketwired - February 28, 2017) - GelTech Solutions, Inc. (OTCQB: GLTC) an innovator in the use of environmentally-friendly polymers for fire suppression and prevention, is pleased to announce that Dan Simon, its COO and Director of Utility Markets, will be a guest speaker at the May 2017 Wireless Infrastructure Show in Orlando, FL, the largest gathering of infrastructure owners and operators, equipment manufacturers, service providers, and others in the communications industry. 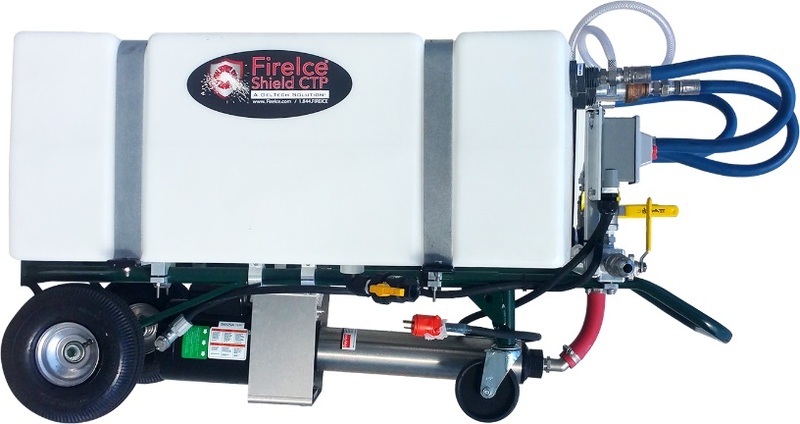 "After a year and a half in development, GelTech Solutions is now introducing its 'FireIce Shield® CTP System' to the industry, a unique FireIce formulation for fire prevention and multi-function delivery system designed to coat interior, self-support and guided towers and surrounding vegetation," said Simon. Initial sales have begun in the southeast, GelTech's home market. The reception has been positive and is expected to expand nationally this year. "Following best practices for worker safety and preventing fire damage to costly cables and structures during cutting, welding and firewatch is a high priority for the communication tower industry," Simon noted. "Damage from fire can range from incidental to catastrophic, not to mention the risks to public and worker safety, and losses can reach far beyond the obvious property damage. Communication tower owners and professional contractors are finding it's a small price to pay for peace of mind on these at-risk jobs," Simon added. Simon served as Emergency Manager for Con Edison in Manhattan for over 40 years before joining the Company. During his time at ConEd, Simon oversaw underground emergency restoration and provided technical and system expertise during multiple crises, including the World Trade Center and Hurricane Katrina. Founded by inventor and chief technology officer Peter Cordani, GelTech Solutions is a leading provider of innovative, environmentally friendly and cost-effective products that help government agencies, industry, agriculture and the public achieve goals such as water conservation and protecting lives, homes and property from fires. GelTech's products include FireIce, a non-corrosive polymer that when hydrated produces a water-based suppressant to extinguish fires and a retardant to protect assets and property; Soil2O Dust Control products that reduce airborne particulate matter with minimal environmental impact; and GT-W14, an advanced absorbency technology to control fluid spills of all sizes, turning liquids into solid waste for easier and safer disposal. For more information on GelTech, please visit www.geltechsolutions.com. For more information about GelTech, please visit www.GelTechSolutions.com. For more information about FireIce, please visit www.FireIce.com. This press release contains forward-looking statements including expected expansion of sales nationally in 2017. Forward-looking statements can also be identified by words such as "targets," "expects," "believes," "anticipates," "intends," "may," "will," "plan," "continue," "forecast," "remains," "would," "should," and similar expressions. Forward-looking statements are based on current expectations, are not guarantees of future performance and involve assumptions, risks, and uncertainties. Actual performance and results may differ materially from those contemplated by the forward-looking statements. We caution you therefore against relying on any of these forward-looking statements. They are neither statements of historical fact nor guarantees or assurances of future performance. Important factors that could cause actual results to differ materially from those in the forward-looking statements include the effectiveness of the system compared to expectations, the natural reluctance to changes in the industry and adoption of new technology, and unanticipated change in the acceptance and promotion of the system by the tower owners. Further information on our risk factors is contained in our filings with the Securities and Exchange Commission, including the Form 10-KT filed on March 31, 2016. Any forward-looking statement made by us in this press release speaks only as of the date on which it is made. Factors or events that could cause our actual results to differ may emerge from time to time, and it is not possible for us to predict all of them. We undertake no obligation to publicly update any forward-looking statement, whether as a result of new information, future developments or otherwise.